Hodgson scored one goal in a 47-game stretch from Oct. 28 to Feb. 22. He endured goal droughts of 27 and 19 games and also went 17 straight contests without a point. It’s easy to forget now, but less than two years ago Hodgson was a player the Sabres began to build around. 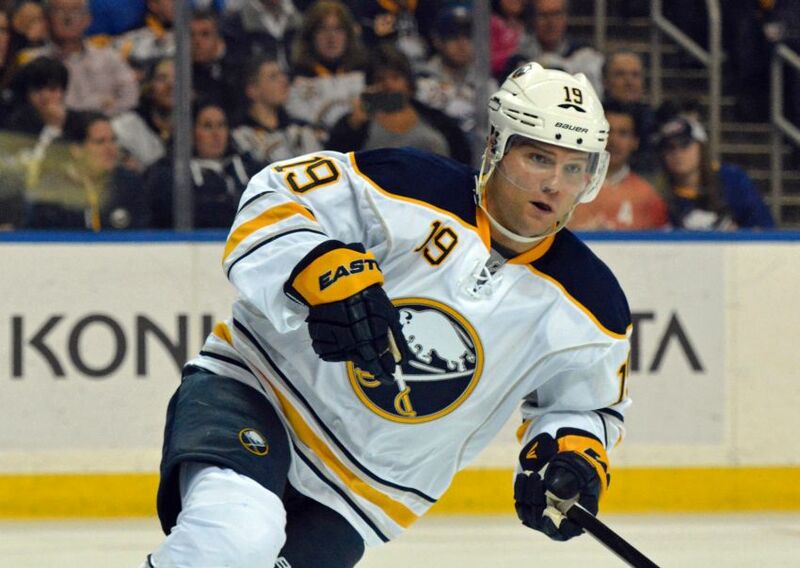 He led the Sabres in scoring in 2013-14 and had 15 goals and 34 points in 48 games in 2012-13. Hodgson’s another player from old Darcy Regier regime general manager Tim Murray has purged. Only six NHL players Regier acquired have a contract for next season. On Friday, Murray traded center Mikhail Grigorenko and defenseman Nikita Zadorov – two Regier first-round picks – to Colorado in the Ryan O’Reilly deal. Murray bought out defenseman Christian Ehrhoff and forward Ville Leino a year ago. Cody Hodgson is on unconditional waivers and will have his contract bought out. Since he's under 26, it will cost $6.333M over eight years. Pingback: Anaheim Ducks Free Agent Options: How Much is Cody Hodgson Worth?